If Princess Elsa was a Korean, I think the Kingdom of Isolation that she’s saying would be Hwacheon. This place is a hell of ice because everything freezes during winter including the river. This could be something deterrent to the lives of the residence of the place, but they found a way to capitalize on its cold weather. 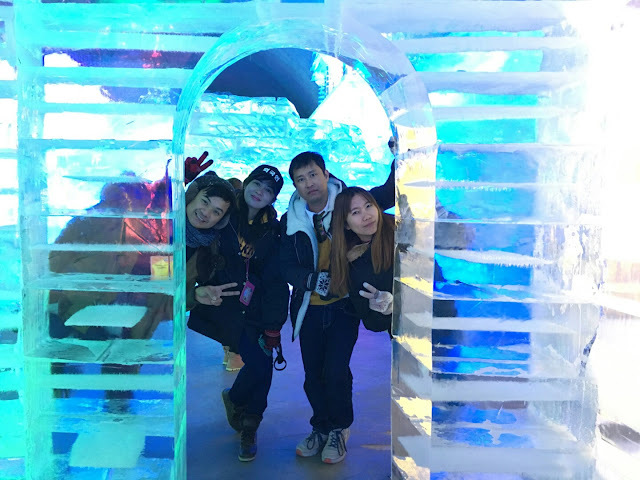 Because of the frozen river, they were able to organize one of the biggest festivals in Korea, the Sancheono Festival or commonly known as the Ice Fishing Festival. Aside from this festival, people can also enjoy the ice sculpture display at the Ice Illumination Plaza. This museum is just like a giant freezer because when you get inside, it’s full of ice. But don’t worry, these are not ordinary ice because it’s actually sculpted by the renowned Korean artists. We visited the Ice Illumination Plaza right after our fiasco at the Ice Fishing Festival. It’s just so near the venue of the festival, so we visited anyway. It was already freezing outside, going inside an ice museum was not a welcoming idea, but since it has ice sculptures inside and the entrance ticket was so cheap, it would be a mortal sin not to check it out. The large scale ice sculptures taking into different forms and designs welcomed us as we entered the room. The sculptures were lit up in an assortment of colors making it more attractive and interesting. There are castles, palaces, fortress and even the statue of Buddha made of ice. I remember my visit to the Aiin’s world in Bucheon. The museum somehow looks like that as it features the small replica of some famous structures in the world, except that everything is made of ice. If you pay attention to details, you will see that every side and curve was delicately and intricately carved to make it even more realistic. All sculptures are all beautiful, we felt like we were in the city full of ice with all the beautiful structures of the world surrounding us. After taking a lot of photos inside the ice plaza, we went outside to go to our next destination, the Seondeung Street! The street is about 100 meters away from the plaza, it was brilliantly decorated by hundreds of Sancheoneo shaped lanterns which are made of hanji paper. Aside from the lanterns, there were LED lights emitting beautiful luminaries all over the street. We felt like VIPs as we walked in the well and beautifully lit street of Seondeung. However, since it is a street, there were a lot of cars passing. Taking a photo in the middle of the street is a matter of life and death. But we enjoyed the view and we can’t help but look up to the lightings while walking in the street. Hwacheon showed us the right way to enjoy the winter. 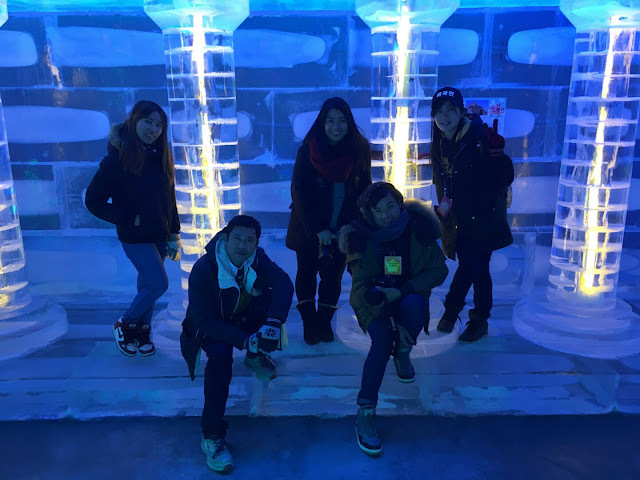 It showed us various ways to have fun with the ice. And since winter has long night and short day, lights are the perfect partner of ice. 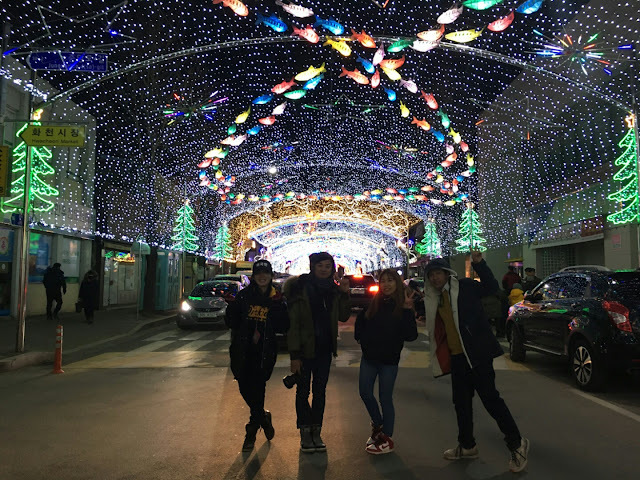 It is even more beautiful if lights are in different colors and shapes just like in Seondeung Street. If you are interested to experience the Ice Plaza and the Seondeung Street Lighting, then you must go to Hwacheon on a winter. The street lighting usually opens late December and lasts up to mid February. You might want to check also the schedule of the Ice Fishing Festival so you can also include that in your itinerary and maximize your time in this winterland of Korea. Hwacheon is located in the Province of Gangwondo. To go there via public transportation, take a bus from Dong Seoul Bus Terminal and get off at Hwacheon Bus Terminal. From the Bus Terminal, you can take bus number 7 and get off at the Front of Base Bus Stop. The Sancheono Ice Fishing Festival, Seondeung Street Lighting and the Ice Plaza Illumination are so near you can just walk from one venue to another.